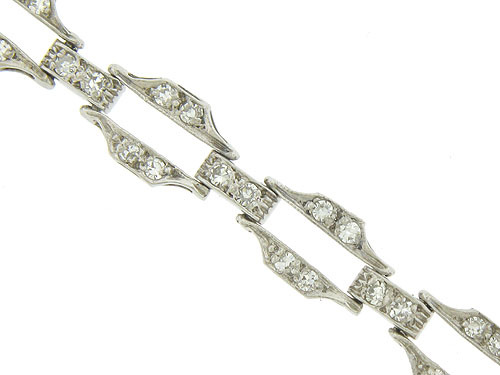 This spectacular Art Deco platinum bracelet is frosted with diamonds. 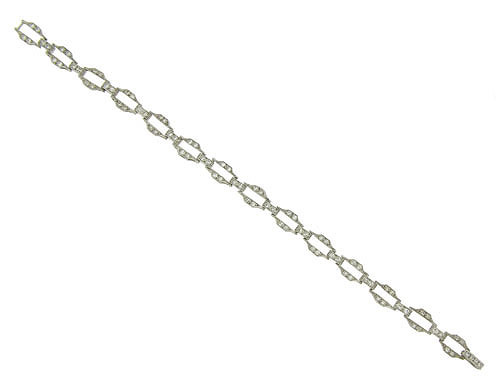 The links of the bracelet are delicately curved and adorned with simple engraving. The antique bracelet measures 7 1/4" in length, 1/4" wide. Circa: 1920.